hello there! i think it has been a while since we have had a proper craft tutorial here, hasn't it? and seeing that these are always the best loved posts on this blog, yesterday while making something with my littlest one, i actually remembered to take some in between or before shots of our little project. the junebug is into collecting moss at the moment. i think it is because she finds soft balls of moss scattered in our yard. these are from our roof, and the birds usually pick them off. i've had the idea of making a moss garden for several months now, but i wanted the craft to be simple and also quick to make. 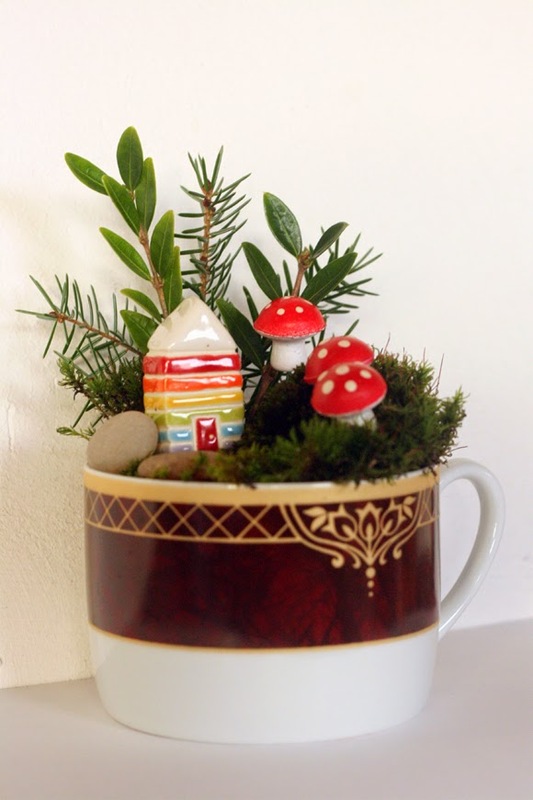 so i decided to make something really small: a fairy garden in a cup. i placed the rocks under the moss for drainage. i'm not sure how this will work in the long run, but for now, it's pretty. i water the moss a little from time to time, and make sure the surface has dried before placing the clay house back in its spot. i put the little fairy garden on our mantlepiece, where the house had stood by itself for quite a while. this was a perfect project for little hands to help with. looking at the pictures now i could have used a prettier tea cup to place the fairy garden in, but i wanted to use what i had. 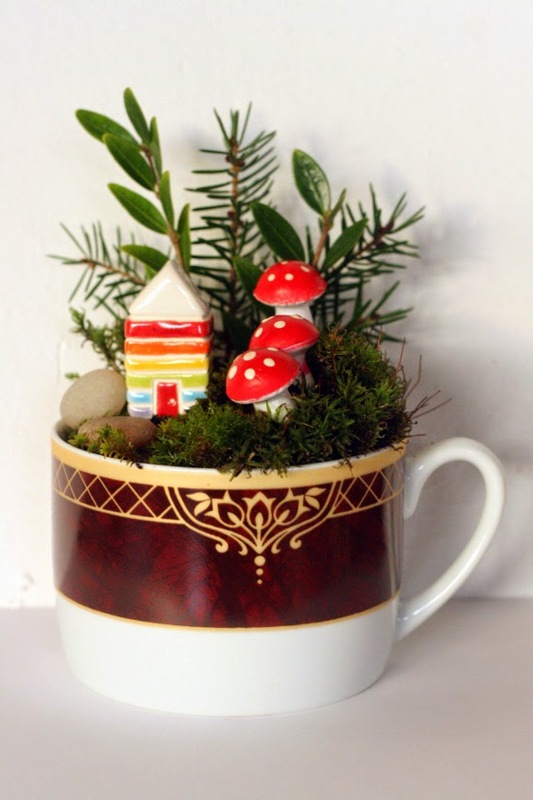 i will have a look in thrift stores and on flea markets to find some more cups for future fairy gardens! hope everybody has a lovely day with a little magic in it! That is adorable. Love the little clay house too. Wishing you a little magic in your day too. this is a project that my step mother would love. I see here and there vases with moss or tiny ornaments inside. Lovely idea! this is just the cutest thing for any fairy-loving child. i do it with teeny felt folk.